With defence budget cutbacks being made across the board by European governments, compounded by the withdrawal of forces in Iraq and Afghanistan, defence companies have had to undergo mass restructuring. 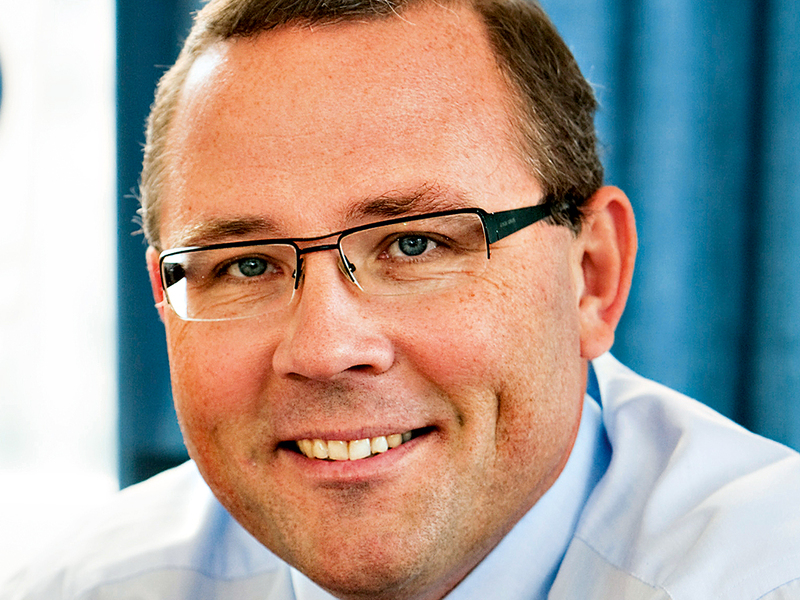 Håkan Buskhe has led the trend at Saab, while making the astute decision to focus on international markets. His success in that strategy came to a head in 2014, when he secured a deal with Brazil to supply 36 Gripen planes – the fighter jets in which Saab specialises – beating big-name competitors such as BAE Systems, Dassault and Boeing. This has been achieved in spite of Saab’s relatively small size; in 2010 it had 12,500 employees and recorded $3.7bn in sales – substantially less than French competitor Dassault Aviation, which generated $5.92bn in revenues in the same year. But Buskhe has capitalised on Saab’s position and focused on the firm’s more niche products while, investing heavily in innovation and R&D, and it’s proven largely successful. By implementing several important efficiency measures and cutbacks, the logistics specialist has helped to drive growth in key areas of the business while expanding the group’s presence in Latin America. Buskhe was born in 1963 in Sweden, where he amassed a string of qualifications: an MSc in science and engineering, a licentiate in engineering, and a diploma in corporate management. A brief stint carrying out military service in the 1980s and working as a weapons technician gave the future defence guru a brief initiation into the basics of arms. That was to be his only experience in the field until he joined Saab. He launched his career in 1988 as assistant to the managing director at logistics company Scansped, before rising through the ranks to become head of EDP for the company in 1990, where he oversaw the implementation of a transport administration IT system across Europe. A few years later, he branched into the brewery industry, serving in a number of key senior logistics roles at Carlsberg. He then took another about-turn and moved on to electrical wholesale company Storel in 1998, where he became managing director. In 2002, he took the helm as CEO for Schenker North. Buskhe joined German energy giant E.ON Sverige in 2006 as senior vice president, and was later named president and CEO of the firm’s Nordic arm, racking up international experience that would prove invaluable in his time with Saab. The company ranked third for power sales and fourth for power generation in the region in 2009 under his leadership, and Buskhe balanced the role with positions on the boards of Swedish venture capital firms Inlandsinnovation and Green Cargo. Indeed, that focus on high technology became key to Buskhe’s strategy from the word go, with an emphasis on the need to pump substantial funding into R&D and to build on Saab’s existing reputation for innovation. By 2011, R&D spending corresponded to 20 percent of company sales and in 2014 it had increased to around 25 percent, according to the group’s financial statements. Buskhe wasn’t all talk and no action; under his leadership Saab has played an important role in the Neuron project, which is seeking to develop unmanned fighter jets. The CEO believes the future of UAVs lies in optional manned aircraft, whereby a pilot would have the choice of whether to fly the jet traditionally or to operate it remotely – something the firm hopes to see in its Gripen planes at some point in the not-too-distant future. Innovation wasn’t the only area Buskhe chose to focus on upon his appointment, describing his goals as “increasing market presence, creating a more focused product portfolio and improving efficiency.” After shadowing former CEO Ake Svensson for a month, the logistics magnate got straight to work on the efficiency side of things, announcing $59.3m in cuts just a few months into his term – on top of a substantial $119.1m in cost savings already planned by his predecessor. “In order to grow and continue as one of the world’s leading high technology companies, we have to be more cost efficient and develop products and services that are in demand now and in the future”, he said in a statement in 2010. The plans involved closing several operations in Sweden under Saab’s dynamics and electronic defence systems divisions – entailing over 200 job cuts – in order to make predicted annual savings of $23.7m in operating income from 2012 onwards. In 2013, Buskhe announced another specific set of efficiency measures, leading the company to cut back on 950 external consultants and FTEs, and to make substantial capacity adjustments. The efforts proved fruitful, with the target of $59.3m in savings achieved last year. That has enabled other investments in development and marketing activities, according to the firm’s financial statements. This trend toward cost savings has been common across the defence industry, with a number of companies making similar cuts to jobs and overhead costs as they feel the strain of reduced defence budgets, according to a 2014 report by Deloitte (in the US, cuts were reportedly predicted to total $22bn last year, for example). Alongside the cuts, 2014 saw Buskhe announce the planned acquisition of ThyssenKrupp Marine Systems, as the CEO sets about growing Saab’s submarine business and so further extending its military offering. It marked another step in his acquisition strategy, which was set in motion in 2011 when the group bought radar equipment firm Sensis to form a new subsidiary, with the aim of “further [increasing] our reach into the US defence market”, according to Buskhe. His work in the year clearly paid off; the company saw its year-on-year net profit soar in the final quarter of 2014, rising to $70.1m – more than double its 2013 figure of $33.4m. Buskhe also announced plans early on in his term to build Saab’s presence in international markets, capitalising on Sweden’s political neutrality, with the US or UK initially suggested as potential countries for focus. He declared an intention to focus on the company’s ‘homegrown’ products, such as Saab’s ground-to-air missiles and the Erieye early warning system, used by the air forces of Mexico, Pakistan and Brazil, among others. However, the company’s biggest asset is its Gripen fighter jet, which, although already used by Hungary, South Africa, the Czech Republic, Thailand and Sweden, hadn’t yet made it into the air forces of any of the group’s major targets at the time of Buskhe’s accession. Bids had previously been declined by Russia, the US and India, leaving the Eurofighter Typhoon and France’s Dassault Rafale (rivals to the Gripen) as more likely winners for the larger nations’ contracts. Buskhe has made it clear that emerging markets, given the budget cuts in the West, are now the key focus for Saab, and other defence companies have taken a similar standpoint. Two thirds of firms in the UK industry are looking to emerging markets, according to a study by aerospace trade body ADS last year. However, he’s also aware that Asia represents a fiercely competitive market, with strong competition from China – which was ranked as the fifth biggest exporter for defence in 2013 – and Russia. “We need to do better things all the time to keep up with the competition”, he acknowledged. If Buskhe’s success in Brazil is anything to go by, Saab stands in a strong position to bring competitive products to emerging markets and so successfully compete with local, domestic defence firms, as well as the likes of BAE Systems and other global players, now shifting their attention beyond Europe and the US to markets where opportunities for real growth await. With an optimistic outlook for 2015 that predicts annual sales growth of five percent – exceeding long-term targets – Saab looks set to buck the trend of falling sales pervading the budget-stripped industry, as Buskhe leads the move into new markets and brings his diverse, global experience to bear on the Swedish firm.